Preeclampsia is considered to be a risky complication that occurs during pregnancy. If not taken seriously, it can cause severe trouble to both the mother’s and baby’s life. About 3% of all pregnant women suffer from complications of preeclampsia. Preeclampsia is the onset of high blood pressure usually in the third trimester of pregnancy and can lead to stroke or kidney failure in women, or premature birth or poor growth of the fetus (intrauterine restricted growth). The actual cause of preeclampsia remains unknown. Researchers think that it might occur due to genetic predisposition. But the actual mechanism to suggest how genetic predisposition influences the development of preeclampsia remains unknown and is a topic under study. Various research works for preeclampsia are under process to look for new inventions, better diagnosis, and improved treatments. Here are listed some selected research studies about preeclampsia. Researchers have found that metformin, a drug used to treat diabetes, is effective in blocking the release of toxins from the placenta during preeclampsia. This drug has also proved to be successful in healing injured blood vessels which in turn prevent premature delivery. Another on-going research provides evidence that the actual cause of preeclampsia is inefficient oxygen supply to the body. This theory states that during pregnancy, if a mother has some heart or circulation complications, preeclampsia might trigger. 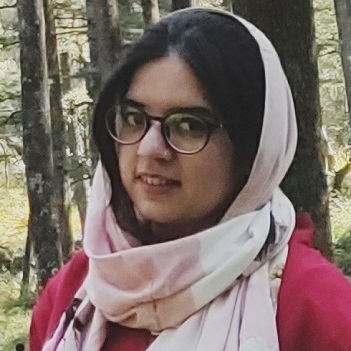 When the fetus reaches the third trimester, it has grown big enough and due to several complications, the placenta may not connect well to the uterus. Because of this, the required amount of oxygen may not reach the fetus. In such cases, the mother tries hard to increase the supply of oxygen to the baby by increasing her blood flow, which results in activation of preeclampsia. This can be dangerous for her and also for the baby. 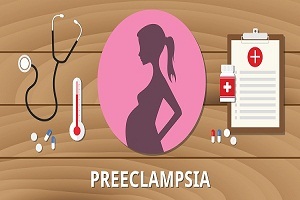 Is ASA therapy beneficial for preeclampsia? Recent studies suggest that ASA (acetylsalicylic acid) therapy can prove to be very beneficial during preeclampsia. 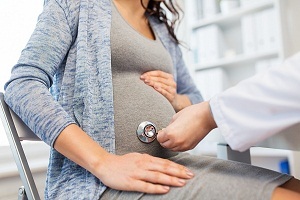 Evidence suggests that when a woman, at high preeclampsia risk, is given a low dose of aspirin (ASA), ASA reduces the chances of getting severe preeclampsia by more than 60%. Before the ASA therapy is given to a high-risk woman, several tests such as ultrasound, measuring mean arterial pressure, uterine artery pulsatility index, test for serum placental growth factor, etc are conducted usually after the first trimester in order to screen the woman for high risk of preeclampsia. Another study which the scientists are looking forward to involves the use of a peptide to calm down hyperactivity of the immune system and inflammations to avoid severe problems in pregnant women. Researchers have discovered a peptide which has the property to reduce inflammation caused by traumatic brain injury. During the study, this peptide with immune system activator was introduced to pregnant women which prevented the development of preeclampsia in them. The study targets the dysfunctional immune response that occurs during preeclampsia and it is believed that this computationally-designed targeted peptide will be helpful as a therapeutic intervention against the complication. Another study has shown that consuming chocolates during pregnancy reduces the risk of preeclampsia. It was estimated that most women who had chocolates during their first and third trimesters did not develop preeclampsia. Researchers suspect that theobromine present in chocolates reduces preeclampsia risk but there is no exact evidence to support this claim. Studies are still going on over this theory. Another study showed that over-expression of Urotensin II during pregnancy can cause placental autophagy. Urotensin II or UII is a vaso-active substance expressed widely in the placentas as well as in kidney, small intestine, and prostate. The study indicates that Urotensin II is involved in the development of preeclampsia by promoting autophagy which is critical for placental development. Research works are being conducted to find an evidence for this claim and to reduce the production of urotensin II. These and several other new kinds of researches highlight improved ways to screen or diagnose and treat preeclampsia in pregnant women. Preeclampsia increases gestational hypertension which is very risky. Therefore, the most suitable and easy way is that proper care should be given to the pregnant women and she should take no stress during this phase to avoid preeclampsia. Preeclampsia After Birth of Child. . . .
What are the Preeclampsia Risk. . . .
What is PCOS (Polycystic Ovary Syndrome)? 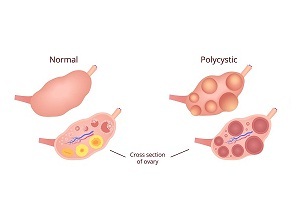 PCOS Definition Polycystic ovary syndrome (PCOS) is a common hormonal disorder among women. It is an endocrine disorder among women between the ages of 18-44 years. About 2-20% of. . . .
Ruptured Ovarian Cyst: Can Your Ovaries Burst? 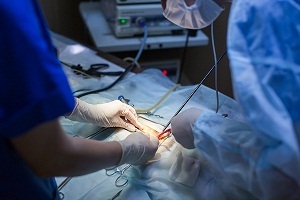 What is an ovarian cyst rupture? What types of ovarian cysts can burst? 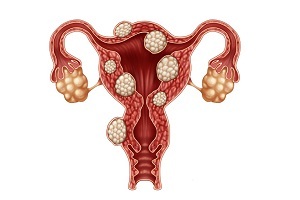 Ovarian cysts are fluid filled sacs which grow in or on the ovaries. Some occur around menstruation time. . . .
What are the Preeclampsia Risk Factors and Causes What are the causes of preeclampsia? Doctors do not know one single cause of preeclampsia. 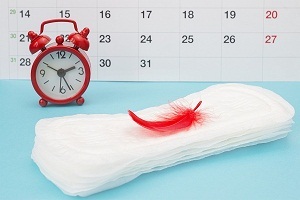 There are some potential causes that are considered to develop the condition.. . . .
All About Menstruation (Period): Normal Menstruation Cycle, Painful and Absence What is menstruation? Why do periods occur? Menstruation is defined as a vaginal bleeding which occurs every month in females. It is a part of a woman’s regular monthly. . . .